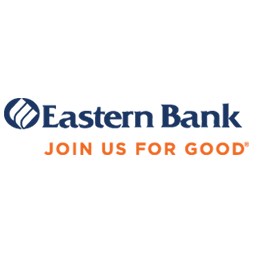 Situation with Client: Founded in 1818, Eastern Bank is the oldest and largest mutual bank in the United States, with $10 billion in assets and over 120 locations serving communities in eastern Massachusetts, southern and coastal New Hampshire, and Rhode Island. In an initiative to build cutting-edge technology platforms, the bank launched Eastern Labs, a technology incubator where fintech entrepreneurs work side by side with bankers. Identifying the need to expedite small business loans, a cross functional team developed and ultimately evolved into Numerated Growth Technologies, a startup that digitizes bank credit policies, enables real-time lending, and automates marketing to drive growth. Action We Took: Nutter worked with Eastern to incubate Eastern Labs, including developing the initial form of licensing agreement for its Business Express Loans product. Nutter also represented Eastern Bank in the transaction in which the bank contributed the Eastern Labs assets to Numerated in exchange for a significant equity stake. Result: Through the initial capitalization of Numerated by sophisticated investors including FIS™, one of the world's largest global providers of financial technology solutions, and Venrock, a well-known venture capital firm, Eastern Bank obtained market validation of its decision to invest in its Business Express Loan product, while providing the former Eastern Labs team a more traditional venture capital platform from which to continue to evolve and prosper.